ABUS: The Super Chilly was a great inspiration for the new Anuky model. A top-selling helmet with innovative technology and an easy size adjustment system including a LED rear light is the perfect match for kids on their way to their own mobility on two wheels. The in-mold construction provides durability and a long lasting lifespan while additional inner vent channels allow effective cooling. This helmet is full of clever features like the anti-pinch padding on the buckle or the extra bumpers to protect the lower part of the shell against wear. 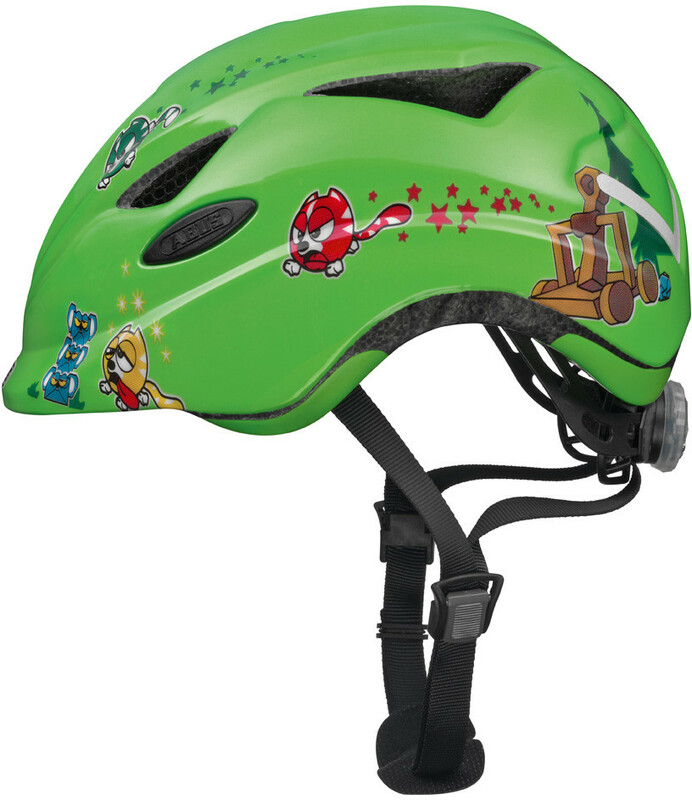 Offering a choice of 5 lovely modern graphics for kids, this light weight helmet provides a perfect protection for the smallest. The Anuky is ideal for bike trailers, trainer bikes, bicycles or a ride in a child seat.